The Club World Cup has been taking place in the United Arab of Emirates over the last week. I would, however, forgive you for not even noticing, as there's been very little media coverage of this. We felt here at From the Tofu Bowl then we should update you on the going on's over there. 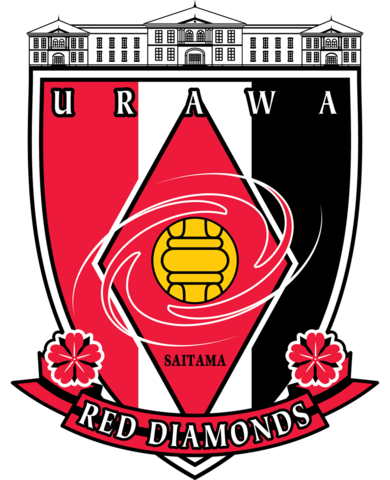 As you may remember we reported that our very own East Asian side Urawa Red's won the Asian Champions League meaning they qualified for this tournament. Let's now look at how they and everyone else have got on so far. First off to explain the format for this competition is pretty unusual and set up almost like a preseason tournament meaning that even if you lose you are guaranteed at least two matches. The competition started on the 6th December with Al Jazira (Abu Dhabi) playing as hosts and as the champions of the UAE League. This was against Aukland City (New Zealand, Champions of Oceania). AL Jazira runs out 1-0 winners it was counted as the first round. On to the second round in the first game on the 9th December, C.F. Pachuca (Mexican, Champions of North America) beat Wydad Casablanca (Moroccan, Champions of Africa) 1-0 meaning they qualified for the third round. In the other game taking place on the 9th December, AL Jazira runs out 1-0 winners against Urawa Red's (Japan, Champions of Asia) This meant Al Jazira qualified for the semi-final on the 13th December where they will face Real Madrid (Spain, Champions of Europe). The defeat meant that Urawa Red's faced Wydad Casablanca on the 12th December in the game billed as the match for fifth place. Urawa Red's managed to get a 3-2 win in this game ending their tournament of a slight high. A game which included Urawa Red's defender Mauricio, scoring from 30 yards. The other semi-final took place on the 12th December with Grêmio FC (Brazil, Champions of South America) playing C.F. Pachuca. Grêmio FC runs out 1-0 winners in dramatic fashion with a 94th-minute winner in the first half of extra time to win. The goal coming from substitute Everton. On the 13th December Al Jazira will take on Real Madrid to decide who will face Grêmio FC in the final on the 16th December. For those wishing to watch any of these games, they will need to be streamed online if you are in the UK.